The results are in, and a majority of our readers think state House Speaker Mike Turzai (R-Allegheny) should step down if he decides to run for Governor. 58% of the 599 voters thought that Turzai should step down, while 42% said he should not. 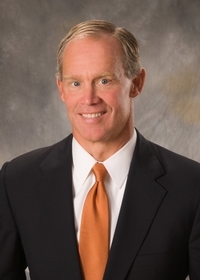 Turzai is considering a run for Governor next year, and has sent a letter to Republican State Committee members asking for their support. State Senator Scott Wagner and Allegheny county businessman Paul Mango have officially announced their bids for Governor. Former Lieutenant Governor Jim Cawley is also rumored to be considering a run. Should House Speaker Mike Turzai step down as Speaker if he runs for Governor? When will Wagner be arrested? YES! Turzai should resign. Now, what’s all this about him running for Governor? Wagner should be arrested for the attack on the reporter a couple of weeks ago and Turzai should just step down. These polls are so random. I don’t remember a similar question when Wagner announced. That is likely because Sen. Wagner is not the President Pro Tempore of the Senate. The question was not whether Speaker Turzai should resign his seat, but if he should step down as Speaker. Most of them think TurdsEye should step down period, whether he runs for anything or not. Has nothing to do with running for another office. Run another poll that simply asks if he should resign without running for another office. Compare the results.